Getting a set of these fitted this week. Much more grip over the factory fitted tyres and certainly much more confidence inspiring in all conditions. Any negative effects since adding the bigger tire? The tyre I fitted is same size. 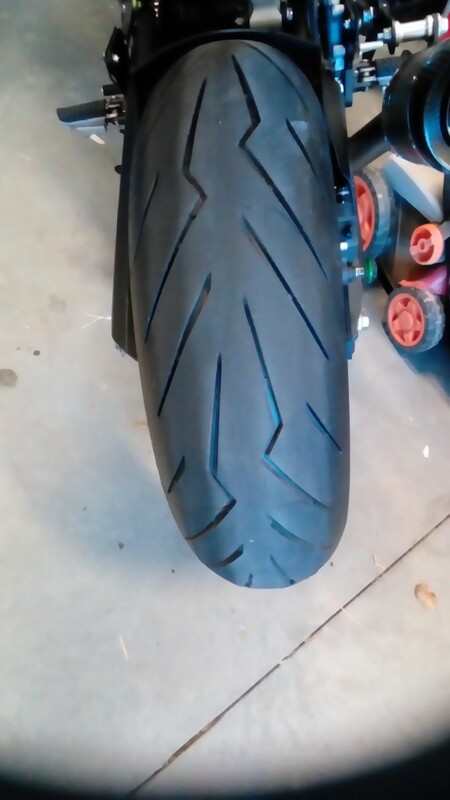 I do not recommend different size tyre. What pressures are you running? Sticking with 36/42 or different? Using 32/36 for twisties but going back to 36/42 for around town. Seems to be happy.